You choose for a handmade glasses of Dutch soil for Preciosa VINTAGE EYEWEAR. The Preciosa wearer is a tad self-willed. He or she would like to be different from other people. With a flirt to the past and a desire for authenticity. Choosing quality and with a feeling for fashion. If you opt for Preciosa VINTAGE EYEWEAR, you opt for handmade spectacles from the Netherlands. Preciosa is the Dutch vintage spectacle brand. More and more opticians and wearers discover Preciosa. On the Dutch market for vintage eyewear, Preciosa is clearly distinctive for its recognizable style, the manual finish and for the affordability in comparison to foreign vintage brands. The brand name Preciosa can always be found on the inside of the left temple. The history of the brand Preciosa goes back to 1936. Even then, Preciosa characterized itself with the somewhat heavier, solid spectacles. Some techniques never age. The rivet hinges are still applied and are still as solid. The finishing polish is still done by a craftsman. The production of Preciosa spectacles requires 80 to 120 specialist actions. Those are done both manually by craftsmen and by modern computer operated machines. Every Preciosa pair of spectacles is crafted with a passion for design and quality. The collection is largely inspired by the popular acetate spectacles from the 1950 and the 1960s. The success of the vintage collection is not only due to design. For Preciosa, we choose the best materials and parts. We have built a lasting relationship with most of our European suppliers. We make our frames from quality cellulose-acetate plates, a cotton derived material produced by our Italian supplier Mazzucchelli 1849. They are recognised as the world leader in the manufacturing of cellulose acetate. For more than 150 years, the Mazzucchelli family have combined tradition and innovation in the production of materials for the optical industry. The processing of this cellulose acetate is considerably more complicated than using shot molding methods, but gives a special pattern and colour effect. The unique characteristics of acetate stand out well. The shades vary from classical black and Havana, to composed colours obtained from plates with several layers of colour. This way, vintage also becomes modern and fashionable. The authentic, warm glow of well polished acetate spectacles and their expressive or subtle colours can be excellently combined with the latest fashion in the field of hair, make-up and clothing. The vintage collection from Preciosa offers an enormous choice of models and colours, for both men and women. The different parts of the Preciosa spectacles, such as nose pads without softeners, and rubber ear tips, comply with high standards for quality, design, adjustability and wearer comfort. Preciosa spectacles are only available via the certified optician. Every wearer is different. Therefore, a good adjustment of the spectacles is essential. The optician knows how he can process the materials and adjust if necessary. He can also advise you about cleaning, so that the spectacles remain nice and strong for a long time. Opticians like to work with Preciosa spectacles. They are easy to glaze and have a good fit. Preciosa spectacles are of a high quality and sustainable. 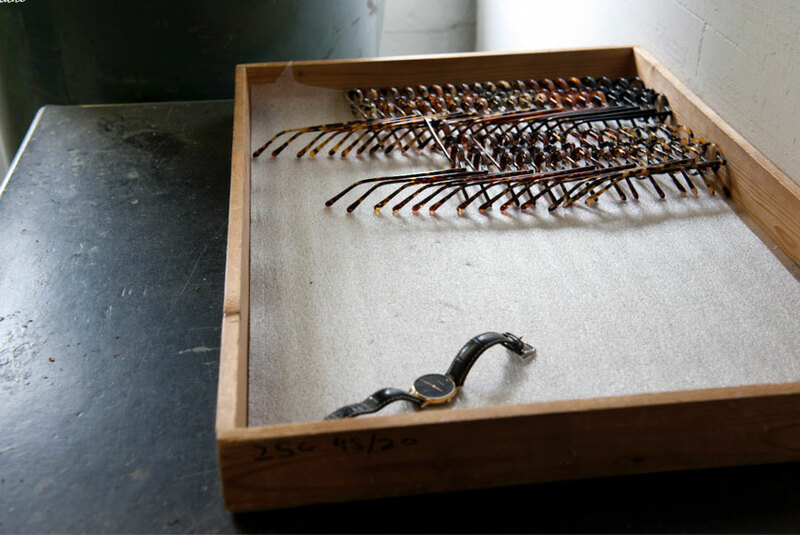 We manually check all spectacles piece by piece before they leave the factory. Guarantee on possible production errors is self-evident. But also in the case of damage or defects that occur after many years, Preciosa is willing to help its customers. Most of Preciosa’s parts are permanently in stock. Both frames and parts are quickly available.